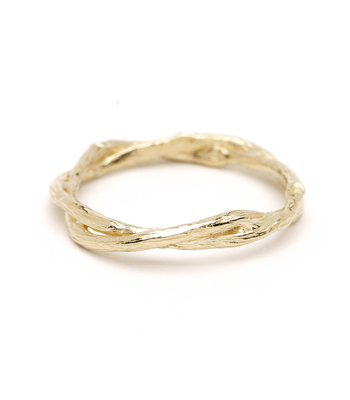 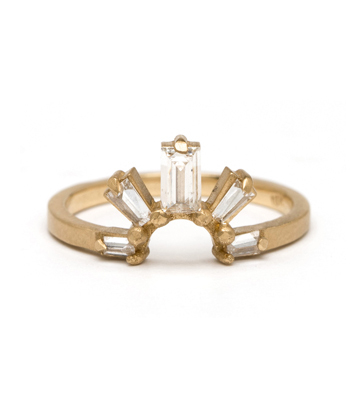 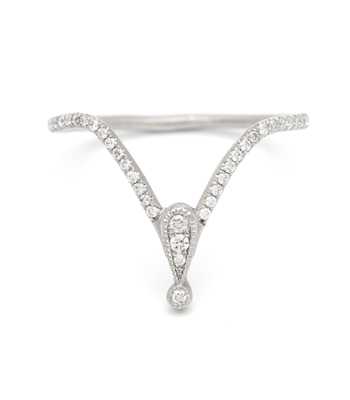 As if forged from the arrow of Artemis, this delightful engagement ring mixes the sharpness of eagle-claw prongs with the natural earthiness of a twig branch for a modern bohemian bride. 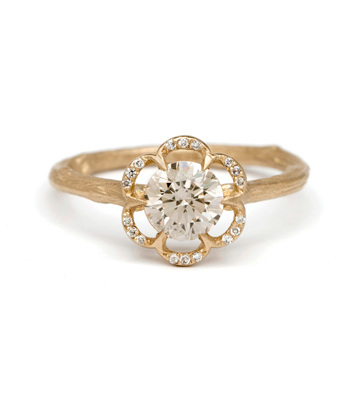 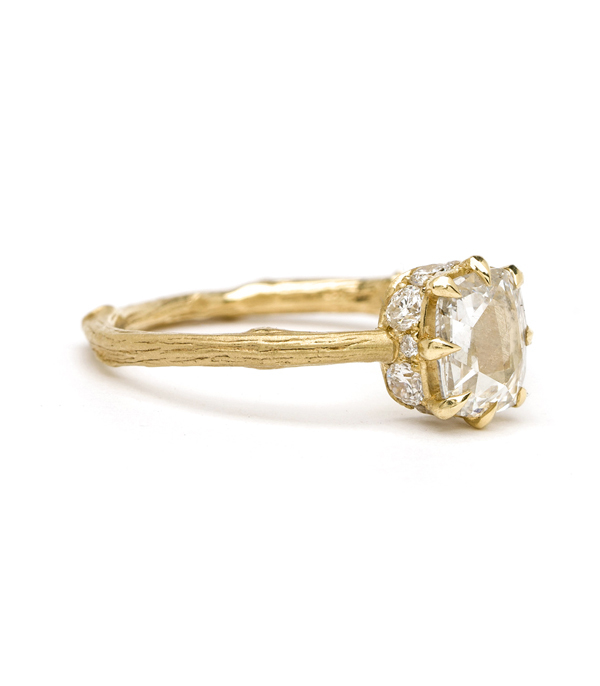 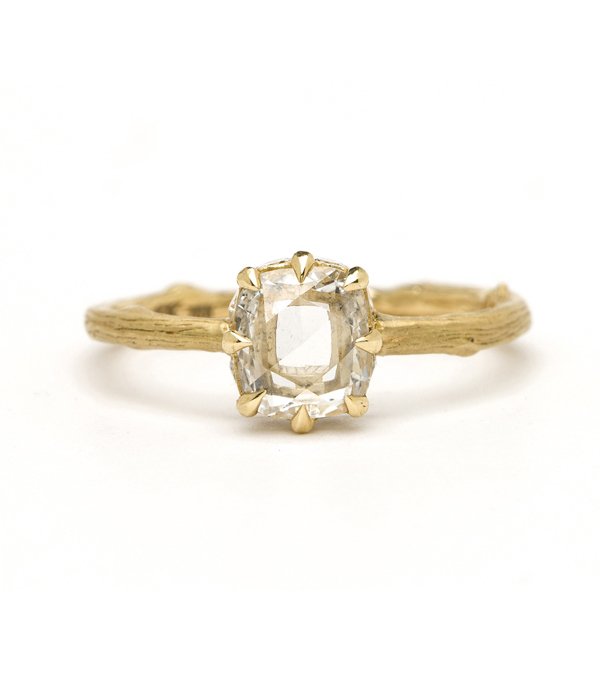 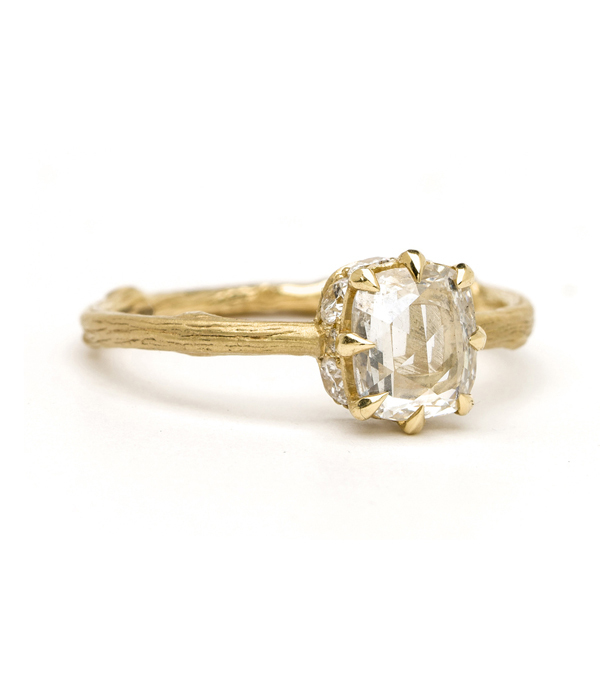 Cast in solid 18K matte gold, this unique engagement ring features a cushion-shaped Rose Cut diamond center (0.66ct) set in an 8 prong mounting set low into the band for a low and comfortable profile. 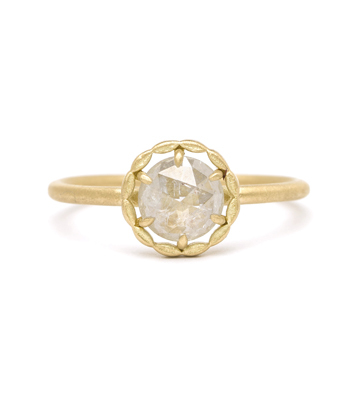 The base of the mounting is encircled with diamond accents (0.33ctw), adding a surprising touch of sparkle to this ethereal ring. 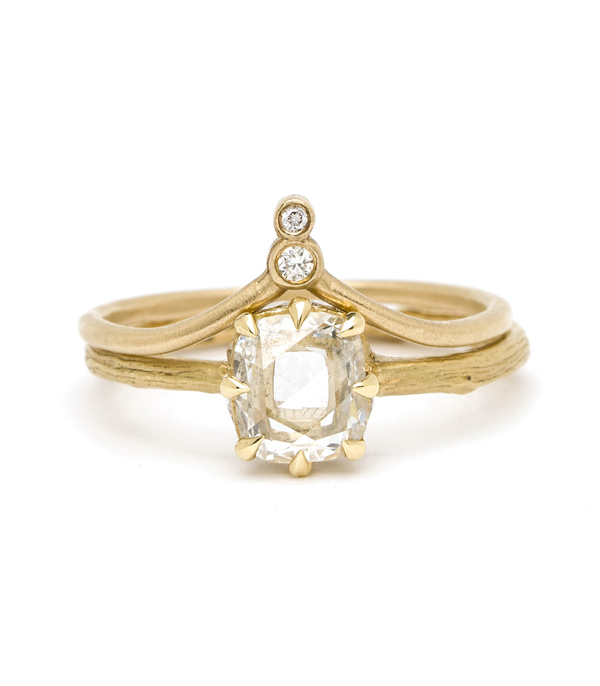 The perfect piece for the boho goddess bride! 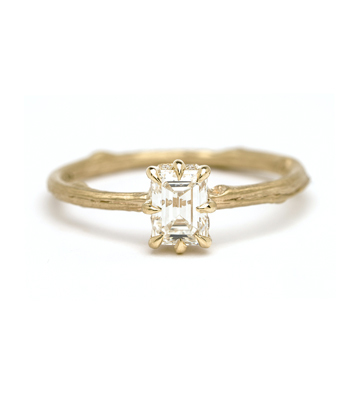 Categories: All Engagement Rings, Natural Beauty, One of a Kind Bridal, Rose Cut Diamond Rings.